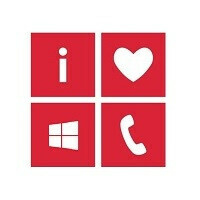 Windows Phone has made a lot of progress in just a couple short years, with much thanks to Nokia’s embracing of the platform and working in its hardware finesse to make the Lumia series and extremely capable smartphone, no matter if it is an entry level Lumia 520 or a banner waving Lumia 930. Where Windows Phone has always had to make up ground, aside from market share, has been in apps. Indeed, many of the popular applications are available, though the features are usually well behind curve of Android and iOS counterparts. One of the ways Microsoft has been working to close the “app gap” is through truly unifying the Windows platform between PCs, tablets, and smartphones. That helps a little bit, as the number of apps and software programs available for Windows en masse dwarfs every other platform out there. The universal app model will not work universally though, since a lot of Windows (PC) based programs require far more resources than any modern smartphone offers. That is not to say unifying the platform is a bad idea though, and with Windows 10, we are looking forward to seeing how it all comes together. Rumors have been floating around Microsoft might also be looking at another approach to enrich the app environment for Windows Phone, and that solution might lie in Android. It has been up for debate for some time, but Microsoft has been thinking about enabling Android-based apps run natively on Windows Phone. There are not many more details, but sources are telling the well-connected Mary Jo Foley that the idea is still an option on the table for Windows 10 in 2015. Microsoft has apparently issued new marching orders to its Developer Experience (DX) team in an effort to build an “end-to-end lifecycle” plan for ISVs. The DX team is also aiming to get more aggressive in reaching out to start-ups, and recruiting students. Blackberry did that and it didn't help the sales. This is just another reason not to buy a windows phone most specially if you have an android already. Why not?! As I see this, you get the apps of Android, plus the stability and optimization of WP, plus, the home screen of WP is more organized than the messy Android home screen. I bought a HTC Desire 816 in a try to get back to Android after being in the WP system for a good while (been in Android OS for a very long time before that) and I discovered how comfortable and great WP OS is. messy homescreen? this is android were talking about, the possibilities is almost endless, it can even look like an iphone or windows home screen. You're obviously not a fan of technology. Icons and widgets are too much for some people to handle. Don't be too harsh on him. Yep, you're right. He do not know what to do or like it or arrange the home screens. And he think a close format, like ios and wp, fits his needs. Don't blame him. Some people need to be lead and told them how to do it. I don't agree with you about UI. Till now, i have two Lumia devices but the home screen has never been satisfied me as i got only one home page and all the time i need to scroll down to find my particular app i want to use if i pinned a lot of apps to start screen. I used to own many android smartphones in the past so i have to say that Android is unbeatable in terms of UI and customization. I could do a lot of things on Android that WP could not. Yes, it did help the sales for BlackBerry, just look at how much BlackBerry has sold the Passport. They're rising, but slow. BlackBerry has more potential than Windows Phone imo. BB Passport is a failure if you use the current standard. BB sales has erode and haven't recover, so you can't say that being able to run android apps saves bb. Passport and Classic sales have been very good. Official numbers will be included in the next earnings report as both devices were not released in time for the prior earnings report. l think you should give up bashing BB, because everytime you bash BB, meanestgenius is always there to counter you. So I can't voice the truth just because he's here? A lot of others than me know what he is and consider what he write just as a noise. Well, l'm not forcing you to give up. What you say isn't the truth. And many here also know what you are as well, and they know that all you do is write BS about BlackBerry. I also agree. I'm not a BB user at all, but +1 for keeping it real. I agree with Kruze. The inclusion of Android apps has been beneficial to BlackBerry. Microsoft enabling Android apps would no doubt be helpful, especially to those who wish to give Windows a shot but were hesitant due to missing apps. You're the most persistent person in defending BlackBerry and 2329 posts in just six months prove that. l must appreciate your persistence. From a proud BlackBerry Q5 owner. He's a paid shill, he just doing his job. You're just a troll hating on BlackBerry for free. How's that working out for you? He knows BlackBerry a lot better than you. I can post links from Seeking Alpha as well: http://seekingalpha.com/article/2788165-3-reasons-why-morgan-stanley-is-wrong-about-blackberry?uide=3540171&uprof=45 http://seekingalpha.com/article/2786535-blackberrys-stock-outperformed-apple-samsung-lg-htc-and-microsoft?uide=3540171&uprof=45 I guess you're not the only one that can get their "facts" from Seeking Alpha. Yep. Is him and another 3 friends. Sorry bro BB in the middle earth is almost.nothing. Thank you. Someone has to stick up for BlackBerry and let the uninformed know just how good BB10 is and what it's capable of, despite low consumer market share. I honestly wouldn't say anything at all about it, but there is just too much misinformation and plain old hate going around the internet about BlackBerry. You're right, my BB Q5 currently runs 10.3 and it provide an excellent ui experience. BB10 is one of the best designed OS in my opinion.